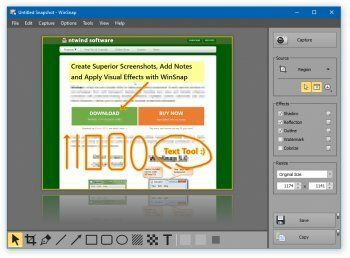 This is a great software, I have been using it for over a year. Although it lacks some features of pickpick, which is NOT freeware, it makes up for it in speed. Advanced editing should be done in advanced editing apps, anyway. This app is great for capturing screenshots and stylizing them so they are ready to go. PicPick (http://www.picpick.org/) is really better than this; and not just because PicPick is freeware for home users; the post capture tools are just "not there yet"
My choice; PicPick ... use it all the time, very effective! And while you're at it, sift through THIS. During your sifting, please also remember to make a comment about the actual program in your review, yes? Anyway. Whahey - v3.1.2's out! Last free version yeah boyee. Are you seriously going to post a review to restate that you are furthering your own recommendation for each version? That seems very sad and petty. Now we have to sift through all of your frivolous reviews. Thirding the recommendation for the last free version (1.1.10) which does plenty. File not free, it offers a very smooth workflow and, most of all, correctly capture alpha blending and thus produce true alpha blended png files without any background, contrary to all current freewares in that area. Beside thta, it is perfectly portable on an USB key. Finally with a native x64 version. Excellent program, but the fact that it's not free anymore dropped my rating of it. Look around and see if you can find v1.1.10 - it was the last free-but-fully-functional version and is pretty cool. Nice little capture program. Has just the right features, and is very intuitive to use. Captures some alpha blended graphical entities that others will not, such as Rocket Dock and ClockX. However, the nags and watermark totally ruin it. 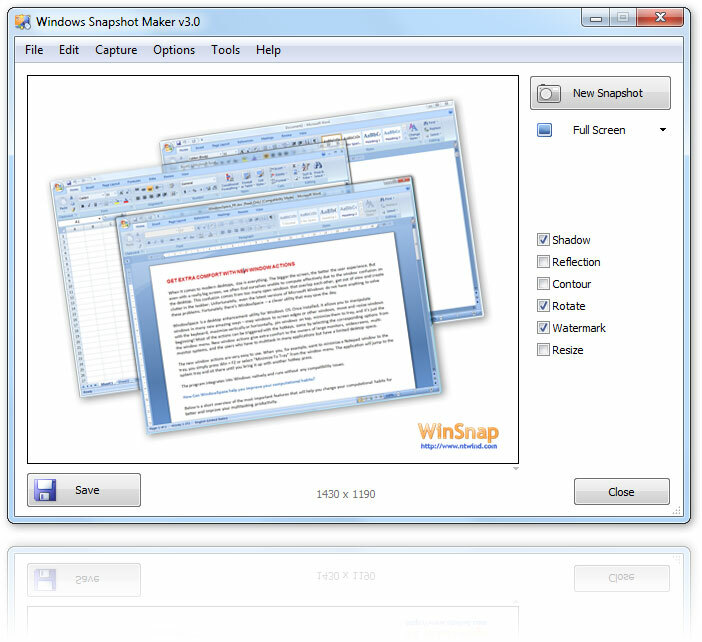 Just FYI, the last free version of WinSnap is still fine. Ver 1.1.10 is free, has no nags, and is only 141K. It runs as a single file on your USB flash drive. Look it up!